This is such a delicious, moist & healthy cake. It is simple to make & it is packed full of antioxidants. Heat the oven to 170 degrees . Line a 900 gram loaf tin with greaseproof paper, letting the paper overhang over the sides of the tin. Process the beetroot until smooth. Add the vanilla, eggs, & half the milk, process again. Start to incorporate the coconut flour, cacao powder, baking powder, coconut sugar. Once processed add the coconut oil. Stir in the finely chopped chocolate pieces, add the remaining coconut milk. Transfer into the baking tin, & bake for 1 hour. Serve with my coconut ice-cream or coconut yogurt. 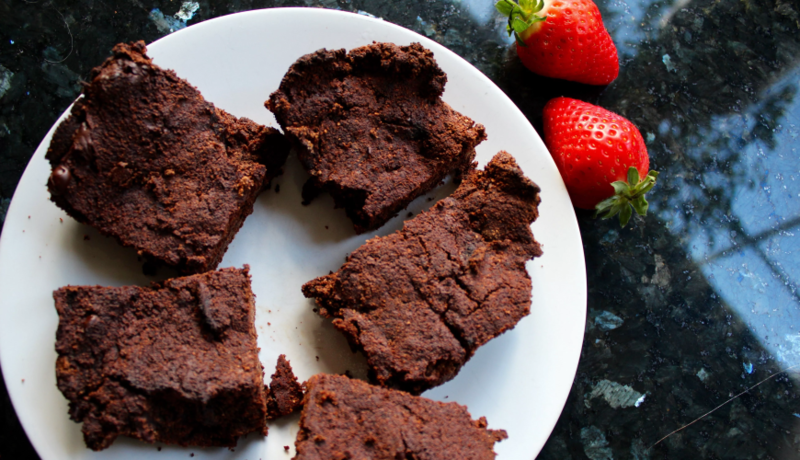 This cake is packed full of amazing antioxidants & fibre. Beetroot is known as a superfood because of its beneficial antioxidants & nutrients such as iron, potassium, silica, manganese, magnesium, vitamin A, vitamin B6, folate & vitamin C.
Natural vanilla extract contains numerous antioxidants, including vanillic acid & vanillin. It is chiefly composed of simple & complex sugars, essential oils, vitamins & minerals. These include vitamin B, traces of calcium, magnesium, potassium, iron & zinc. Coconut sugar has more nutrients like iron & zinc compared to normal table sugar. It also contains a fibre called inulin, which is known for slowing down the absorption of glucose. Plus coconut sugar has nutrients such as vitamin C, potassium, phosphorous, magnesium, calcium, zinc, iron & copper. Raw cacao is packed with antioxidants & is the highest plant based source of iron. In fact it contains more calcium than cow’s milk & is full of magnesium, which is great for the heart & brain health. Coconut oil helps convert the LDL or “bad” cholesterol into good cholesterol. Coconut oil is easier to digest compared to other cooking oils & it is anti-microbial & anti-fungal. Most importantly it is processed by the liver, which means that it is immediately converted into energy instead of being stored as fat. Please note that if you live a sedentary life anything you eat, no matter how healthy you are will be converted into fat.